Buying or selling a home is one of the biggest decisions you’ll ever make in life. And it can be dauntingly complex, too. My goal is to help make the process as smooth and hassle-free as possible. 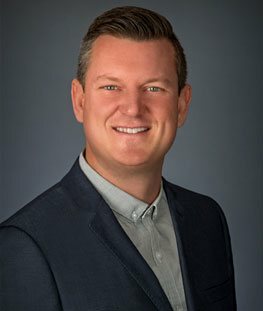 I have previously worked as a certified residential appraiser for in real estate for 15 years and currently as an Orange County real estate agent, giving me a deep understanding of the local market. This knowledge and expertise makes me a trusted partner who can guide you every step of the way. A home in Orange County is more than just an investment—it’s a testament to your accomplishments. But with so many wonderful neighborhoods and houses to choose from, picking just one can be quite daunting. Luckily, we can help shortlist properties that suit your budget and specifications to fast-track the home-buying process. As ace negotiators, we’ll work hard to ensure that you get the best deal possible. Of course, we’ll also help with all the paperwork and legwork involved with a home purchase. There are many reasons to sell your home, but one thing matters to all sellers – getting the best price possible. Once again, we will use our negotiation skills to get you a selling price that reflects your home’s true value. To help you find buyers, we utilize a multi-channel approach to cast the widest net possible. From employing traditional media to creating a digital presence for your property, we have you covered. We’ll also help you stage your home for selling, and coordinate open houses on your behalf. There are many real estate firms in Orange County, but one thing sets us apart – knowledge. Before Mat Just ventured into real estate sales, he was a successful appraiser for over a decade. If you need advice on buying or selling a home, who better to turn to than an expert who determines a home’s value? He has assisted a wide range of clients, including builders, home sellers, home buyers, and those whose interests run to trust/estate matters. The attention to detail required of an appraiser has been applied to the entire buying or selling process. From shortlisting properties and researching home values to arranging the necessary paperwork, Mat Just’s team assures its clients that the tiniest of details won’t fall through the cracks. As one of the most promising San Clemente Realtors, we give you our word. Great minds think alike, they say, and that’s why we’ve partnered with Douglas Elliman Real Estate, a trusted real estate company that has a network of 7,000 agents and 110 offices around the country. Through this partnership, we have access to a greater inventory of properties, making it easier for us to find your dream home. In the Orange County market, we have partnered with the Cinquini Group, Douglas Elliman’s local affiliate. Browse the website to learn more about our properties and services. If you have further questions, please don’t hesitate to call 949-939-5622 or email matwjust(at)gmail(dotted)com. Let one of the leading Realtors in Orange County, CA assist you.